I manage and collaborate on the delivery of several research and knowledge-exchange outputs for the Nature-based Solutions initiative. This includes a systematic review of the evidence base on the effectiveness Nature-based Solutions for climate change adaptation and collaborating on the design and generating content for the Nature-based Solutions Initiative platform. My aim is to support innovative interdisciplinary research and the development of transdisciplinary collaborations as pathways to impact at the nexus of development, climate change, and biodiversity issues. I have a background in biology (BA Rutgers U., 2009) and ecology (MSc U. Lausanne, 2012), and an interdisciplinary MSc in Conservation Science from Imperial College (2016). 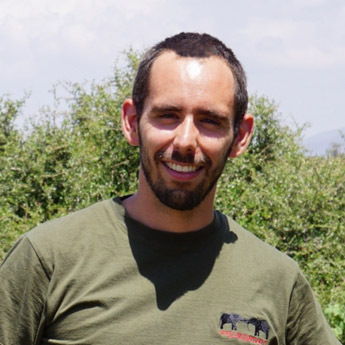 I have worked in Central America and sub-Saharan Africa conducting both social and ecological research, including research on the demand side drivers of the bushmeat supply chain in Congo-Brazzaville, human-wildlife conflict mitigation in Kenya, and the impacts of climate and food availability on barn owl reproduction in Switzerland. I also hold over two years of editorial experience in publishing, including as a journal manager for Frontiers in Switzerland.